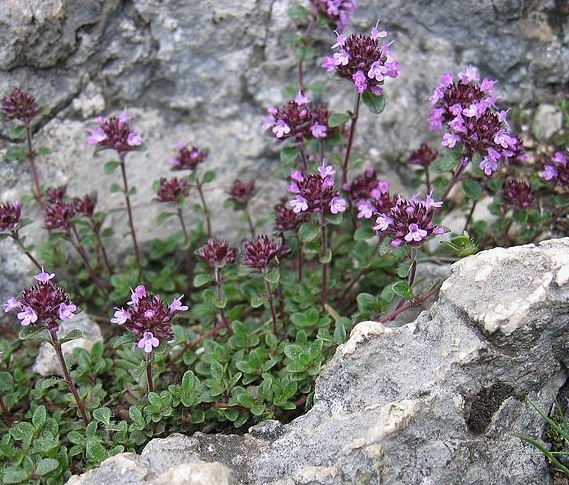 Common thyme (Thymus vulgaris) is best grown with a dappled noon-time shade in the summer in the southwest. 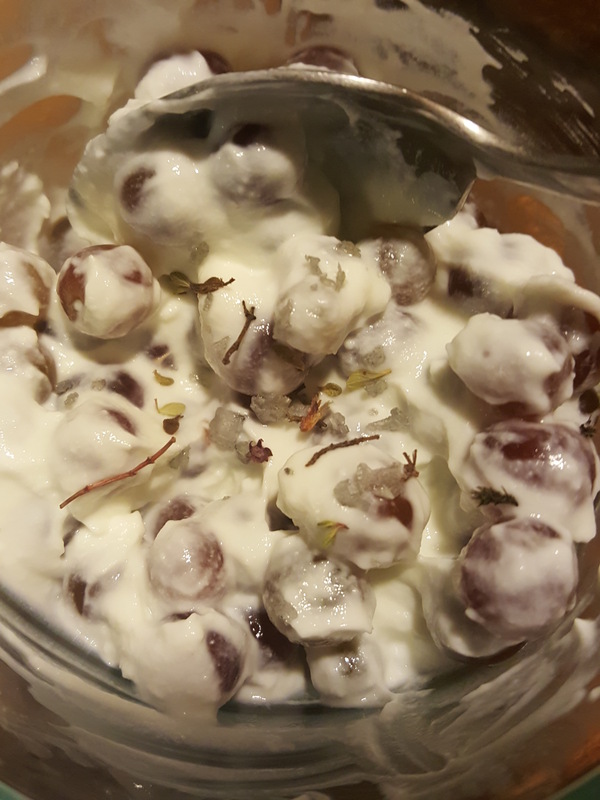 Spring is springing out in my garden – and the little thyme cutting I got from Savor Sister Muffin Burgess back in at our anniversary party in November is finally starting to take off. 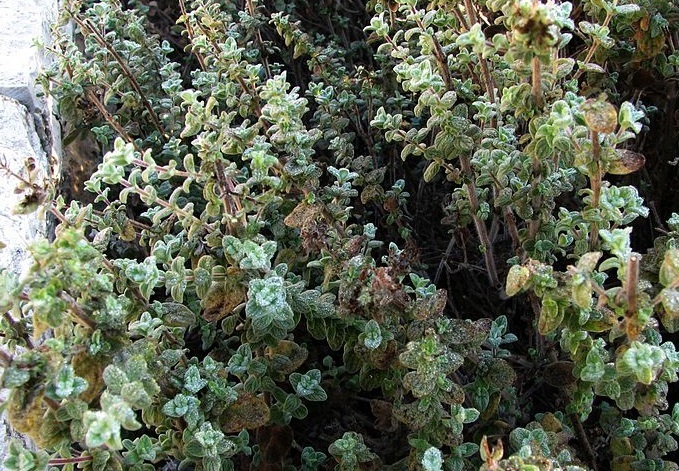 November was a terrible time to take cuttings of this warm climate herb – but the great thing about herbs is that humans have been mistreating them for 7000 years or so, and the weak ones have mostly died out. 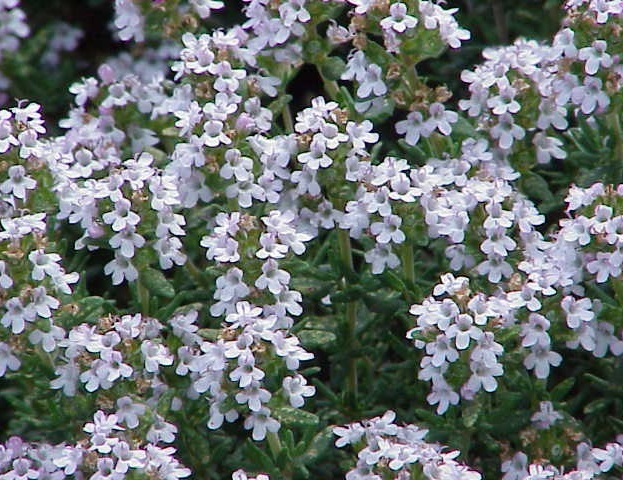 There are many species of thyme, like this species in the Jerusalem Botanical Garden, used for the herb blend za’atar. Thyme is a large and very popular genus, with over 350 species and countless cultivars grown around the world. Aside from looking lovely in the landscape, thyme is a strong herb used in cooking, and has some proven medicinal properties as well. 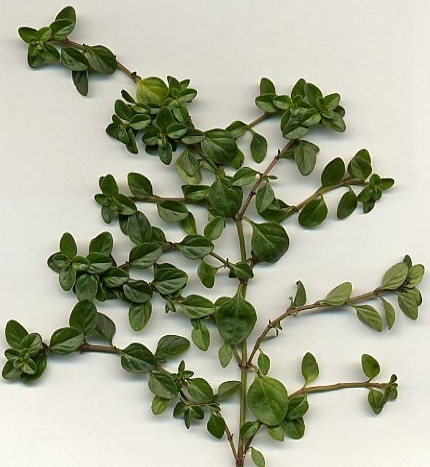 It can also be grown indoors in bright, indirect light. 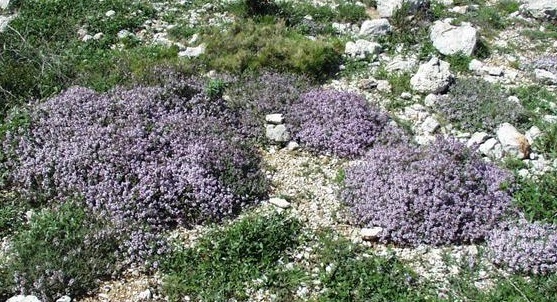 Many herbs that do in the Southwest are originally from a similar climate – like this Thymus vulgaris growing wild on the rocky hillsides of the Galilee. 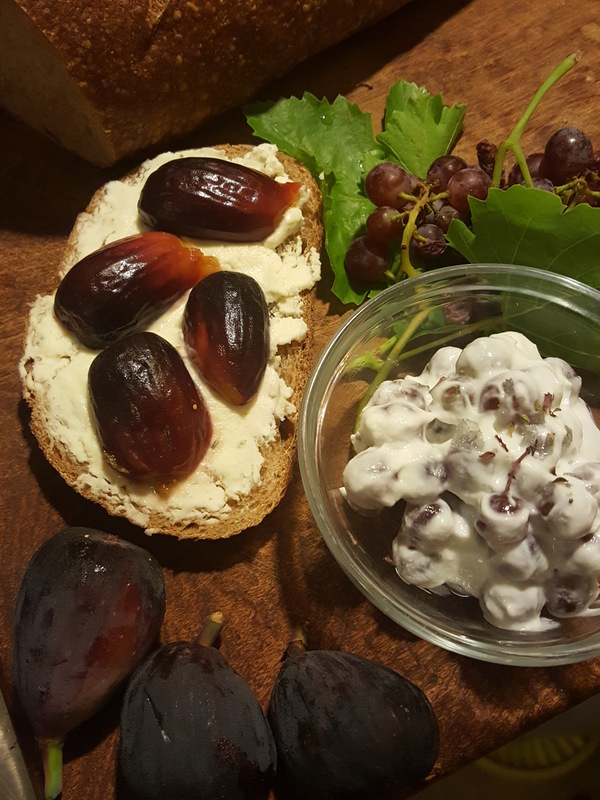 This lovely, fragrant, tasty, and healthful herb in native to the rocky slopes of the mountains of the eastern Mediterranean region, in the area that is now mostly Greece. 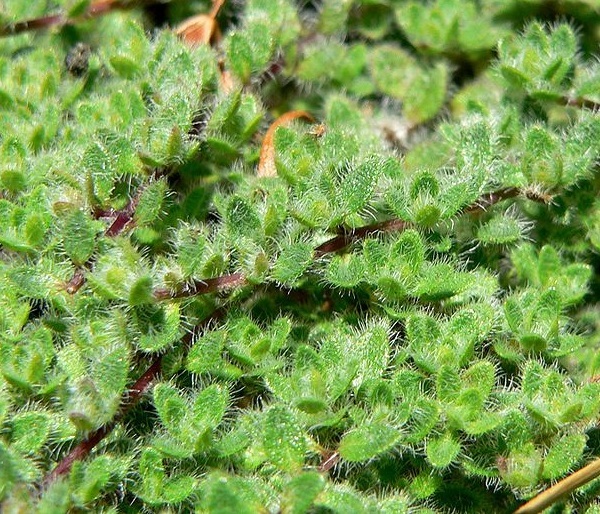 Since they are pre-adapted to low water conditions, most species of thyme can be grown here. I grow my thyme plants where they get roof run-off, thus I rarely need to water them; and yet they offer a lush look to my entryway with their glossy green leaves. Not just tasty, thyme is also another pretty face in the garden! For peak flavor, it is best to harvest this (and most culinary herbs) just before they bloom. Make sure you grow your thyme in well-drained soil. You may have to add some sand to your soil. I killed several thyme plants until I had finally added enough sand to their bed. There are many thymes to choose from, but here are the species most commonly found in the nursery. Creeping thyme (Thymus praecox) makes an attractive and useful groundcover. 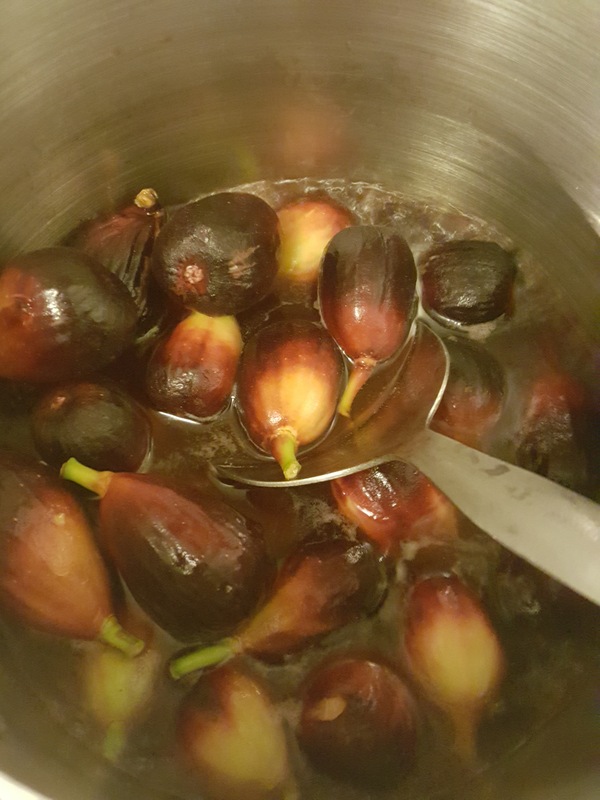 It is culinary too! 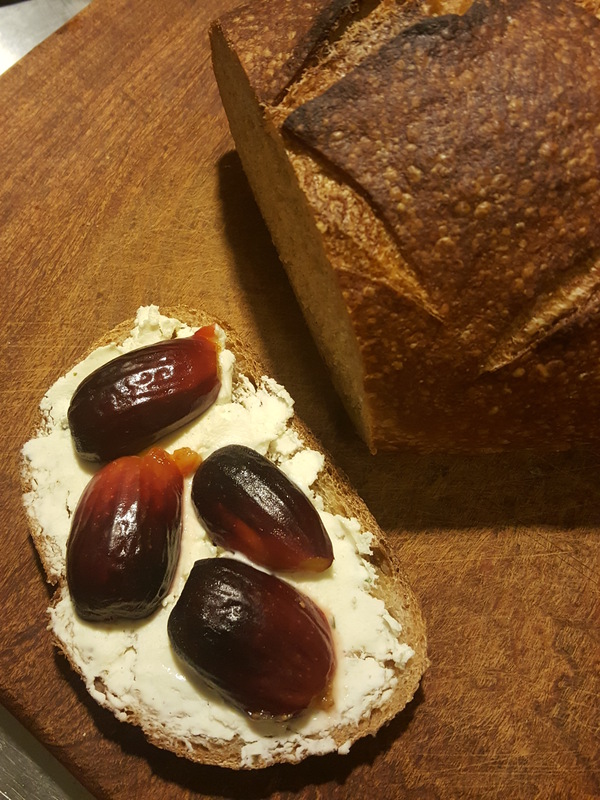 Harvest as needed. Creeping thyme, with tiny leaves and charming purple flowers, is perfect for a fairy garden. 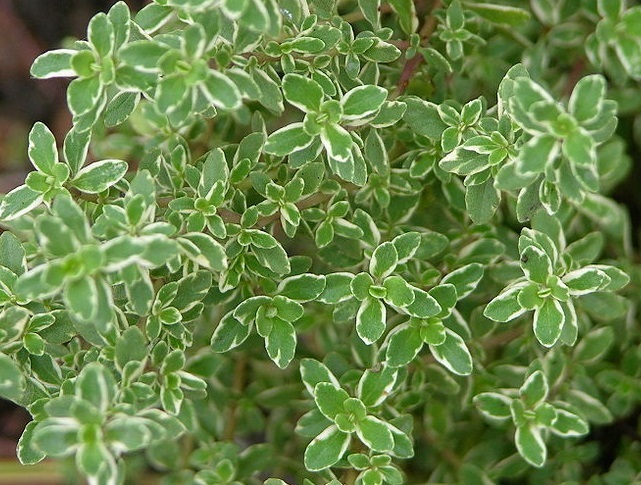 Lemon thyme (Thymus X citriodorus) is a delicious and fragrant low-growing variety with glossy green leaves, and goes wonderfully with fish dishes. 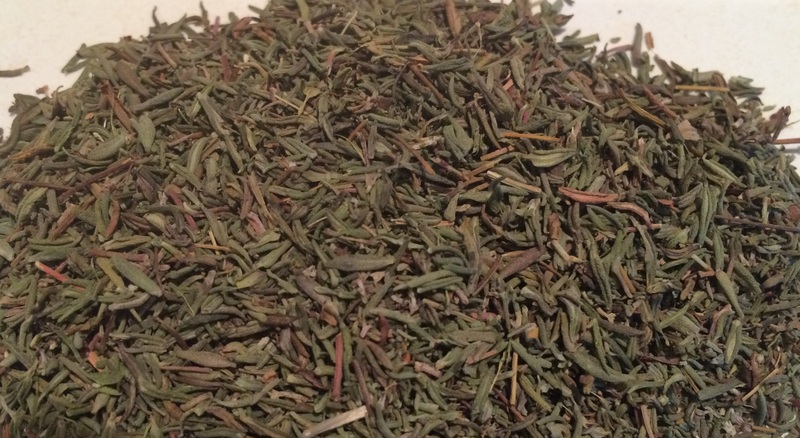 Lemon thyme is great for flavoring fish dishes – two flavors for the price of one! Equally fragrant and delicious is the golden lemon thyme (Thymus X citriodorus ‘Aureus’). With wonderfully variegated leaves, it looks good in the landscape. Not generally used as culinary herbs, two popular species of creeping thyme are useful in the landscape. Mother-of-thyme (Thymus serpyllum) and woolly thyme (Thymus pseudolanginosis) both grow well between shady flagstones, and smell great when stepped on. Add some fragrance to your landscape – plant this heat tolerant woolly thyme between the flagstones of your path. Sprinkle thyme (either fresh or dried) in soups, salads, on meat dishes or use in herb breads. Use an ample number of sprigs in herbal vinegars and oils for an intense and refreshing flavor. We use ample thyme in our cooking. 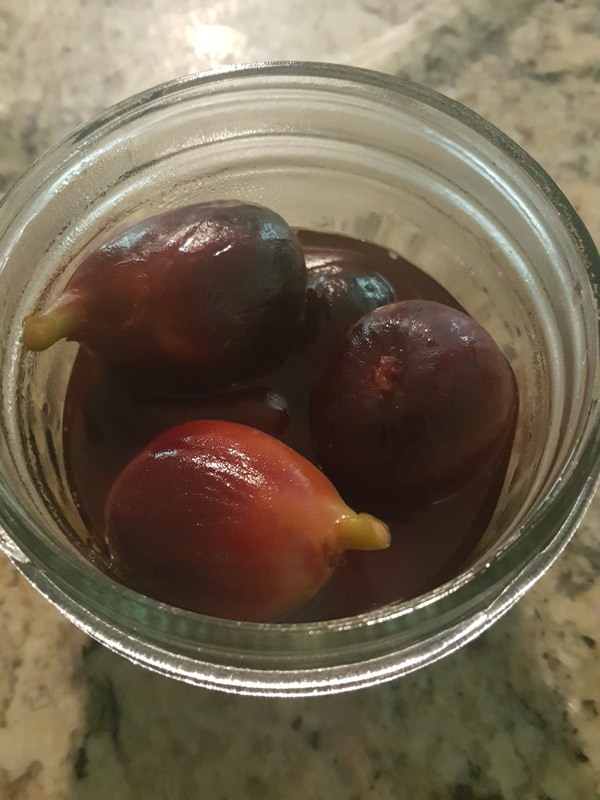 This 8 ounce jar gets refilled several times a year. For a quick meal at the end of a long day make Sopa de Farigola, or Thyme Soup, a dish popular in the Catalonia region of northeastern Spain, and thus part of our Sonoran heritage as well. Fresh eggs and day-old bread are topped with a boiling broth made from water, sprigs of thyme and some olive oil. Great for replacing electrolytes after a day working in the garden! More about thyme in my books which I will be selling and signing at the Tucson Festival of Books March 14 & 15 this year – Southwest Fruit & Vegetable Gardening (Cool Springs Press 2014, $23), and Father Kino’s Herbs: Growing & Using Them Today (Tierra del Sol Press 2011, $15) also available at Tucson area bookstores, nurseries, botanical gardens, and state parks. © 2015, Jacqueline Soule. All rights reserved. I have received many requests to reprint my work. My policy is that you are free to use a very short excerpt which must give proper credit to the author, and must include a link back to the original post on our site. Please use the contact me if you have any questions. Cilantro is easily grown in our area in the cool winter months. 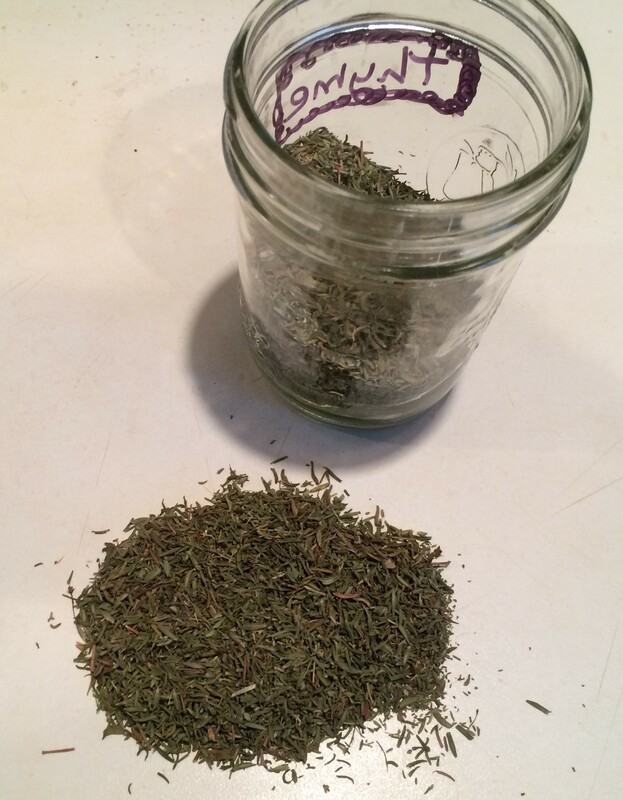 Jacqueline Soule posting today on a great herb to start growing now. Most folks think of cilantro as the quintessential Mexican herb, but it isn’t from Mexico. Cilantro is also called Chinese parsley, but it’s not from China either. The seeds of cilantro go by the name coriander, and are a popular flavor in French sauces, and now we are getting closer. Originally from southern Europe, cilantro (Coriandrum sativum) has been carried around the globe by its fans, and has made itself popular in many regional cuisines. Say “cilantro” here in the Southwest, and most folks think of salsa. And while cilantro can get along with the heat of chilies in salsa, it quickly dies with the heat of a summer day. Therefore you will want to grow this herb in the cool winter months. Hate the taste of cilantro? You are not alone. Scientists agree that there appears to be a genetic component to cilantro taste preference. Those that enjoy the herb find it pungent and tangy, those that don’t like it often say it tastes soapy. It’s your genes, and both experiences are equally valid. Cilantro has been used for millennia as a culinary and medicinal herb. An infusion of coriander seed is said to soothe upset stomach, aid indigestion, as a carminative against flatulence, and was reputed to be an aphrodisiac. It was prized in Father Kino’s time as an ingredient in herbal vinegar used to preserve meat. Cilantro is a cool season crop, and is best planted in our area in September. It should grow through the winter and into April before starting to flower, also called bolting. Leaves are more flavorful before bolting. Once bolting begins, reconcile yourself to the fact that you will soon have ample coriander seed, plus seed to plant next year. Harvest the seed if you want it, because otherwise the lesser goldfinch and doves will clean it all up. 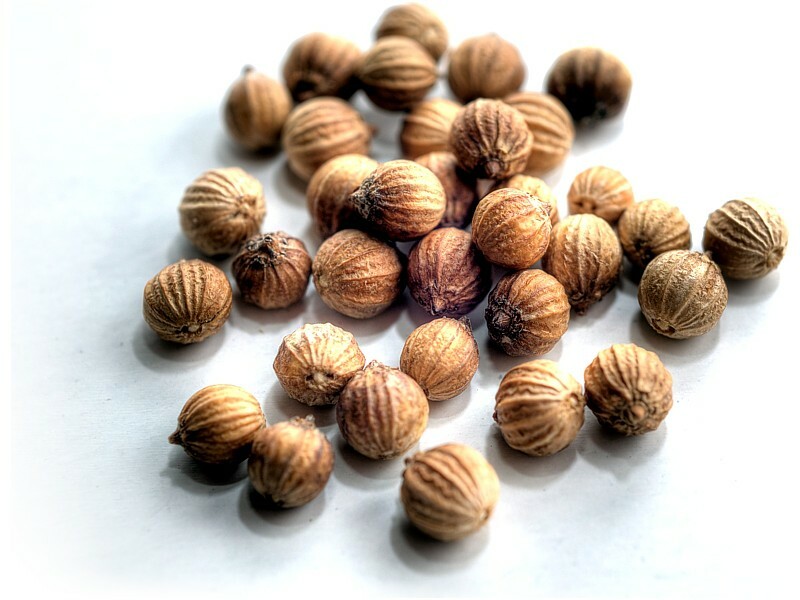 Coriander “seed” are technically a single seeded fruit with a dry papery husk. (Only a botanist would care!) The papery husk can be removed or left when using this herb. Like many members of the parsley family, cilantro is a tad fussy about growing conditions. 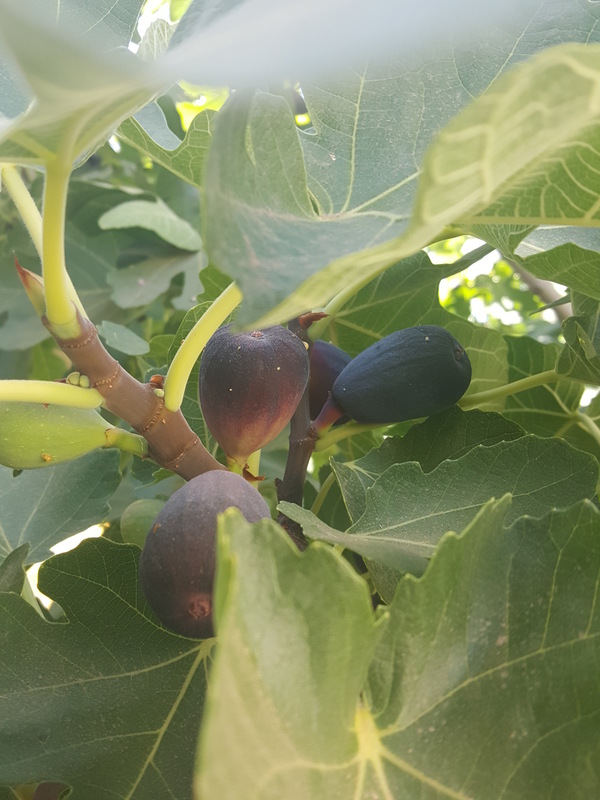 Virtually every member of this family grows best in a well-drained, sandy, slightly acidic soil, rich in organic matter. The good news is that this makes them easy to grow in containers. Use a container a foot or more deep. Potting soil with some added sand makes a good growing media. Cilantro is best grown from seed, because like many members of the parsley family, it does not transplant well. Seeds require darkness to germinate, thus the recommended depth is 1/2 inch deep. 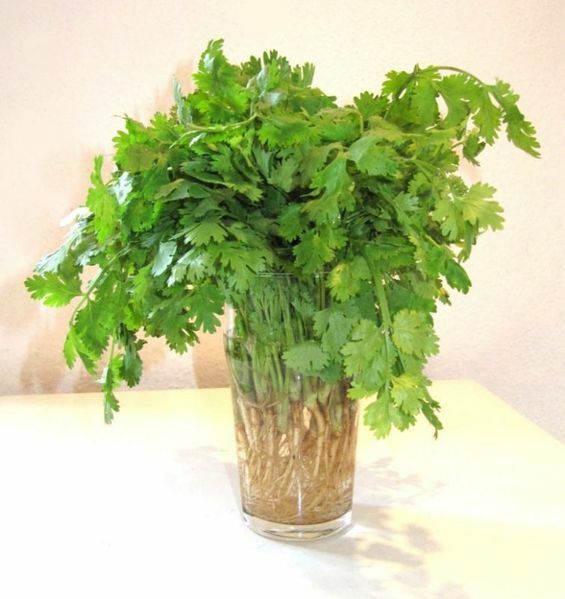 Cilantro can also be bought as a seedling from a nursery but be careful not to damage the roots when transplanting it. Cilantro does best with six or more hours of winter sun. Mature plants can take frost to around 20oF, so cover if a harder frost is expected. Keep the soil relatively moist during establishment. You can let cilantro dry a little more between watering once the plants get larger. Some people believe this makes their flavors stronger. Cilantro roots look like tiny carrots, and are eaten in some cultures. Cilantro gets very lush and full with some fertilizer. However, if you amended your soil at the start you don’t need to add fertilizer. Plus, avoid fertilizing anything when frosts are a possibility. Come late February you could apply a half-strength general purpose fertilizer. Cilantro is considered a good companion plant to anise and potatoes. Cilantro could be justified as a garden plant if only for the job it does in attracting pollinators to the garden. Bees enjoy the nectar-rich flowers and the resulting coriander honey is prized for its flavor. 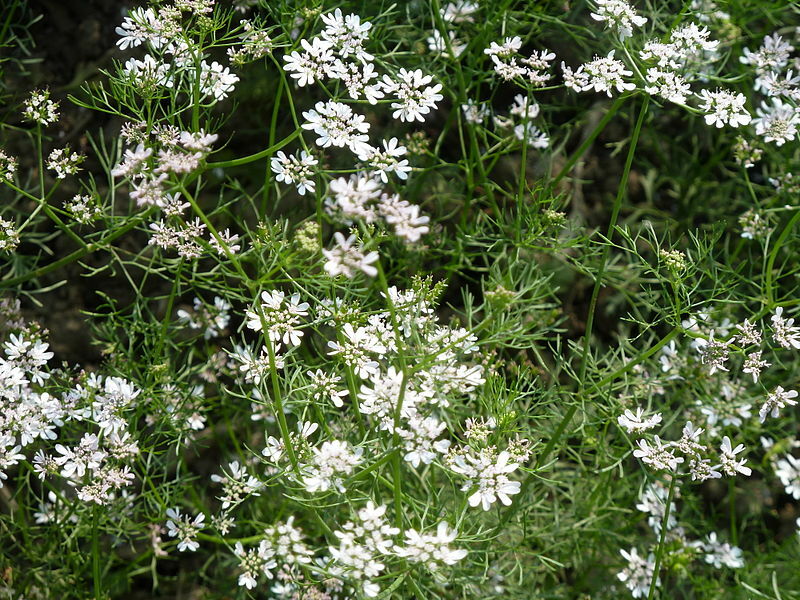 Coriander flowers are wonderful to attract pollinators to the garden. The seed provides the culinary herb coriander, and I harvest a great deal of it, but I also like to leave some stalks with seed behind so that flocks of lesser goldfinch will grace my garden with their bright bodies and cheerful chatter. Cilantro leaves tastes great when fresh but lose much flavor when dried. 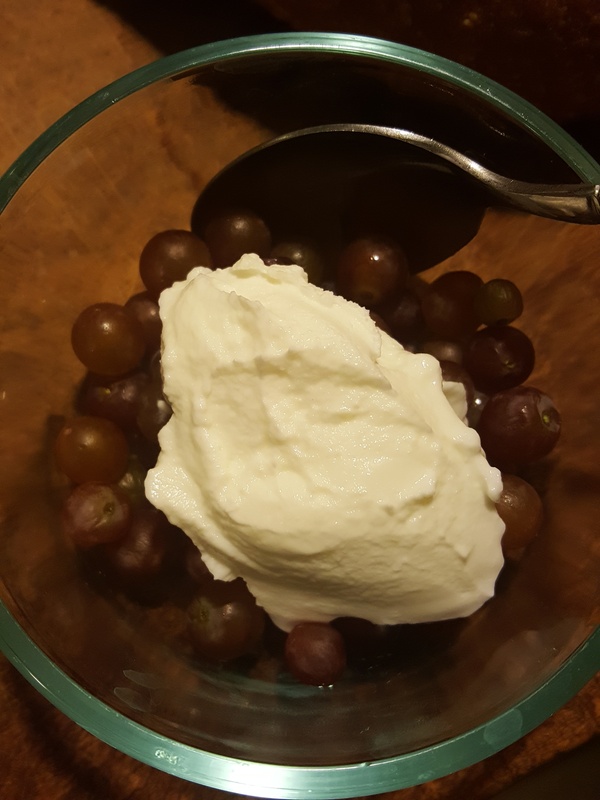 Freezing the leaves retains more flavor. 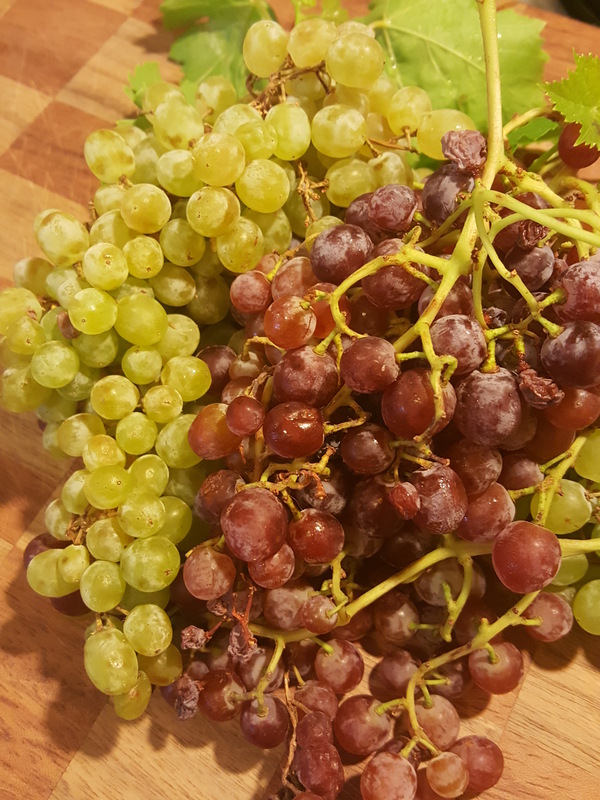 Select healthy leaves, rinse, pat dry but leave some moisture. Chop into roughly quarter inch squares and freeze in a labeled plastic bag or other container. Use directly from the freezer. Cilantro chopped and sprinkled over freshly cooked tilapia. 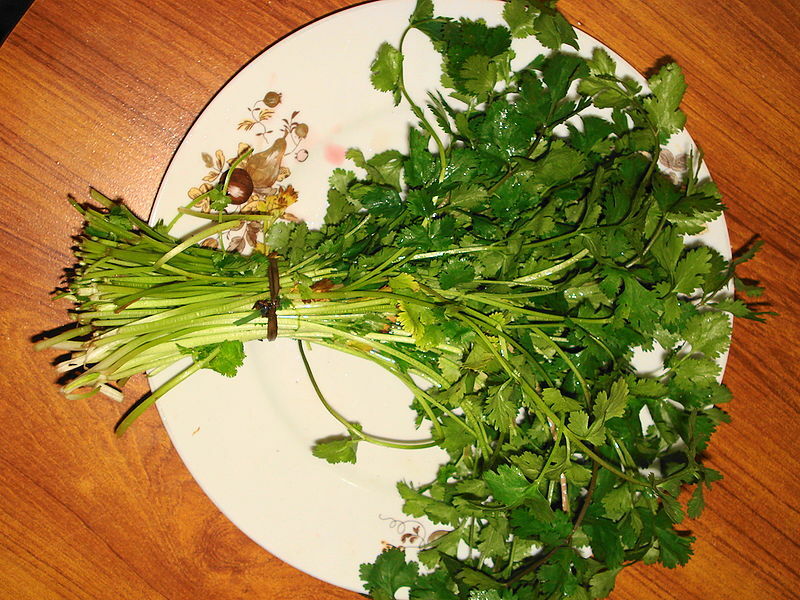 The seeds, used as coriander, should be harvested after they begin to turn brown and when outer coat cracks, but before they drop off the plant and scatter. Cut the stem below the seed heads and place the whole thing into a paper sack to dry. To clean the seed, rub them gently to remove the outer shell. Many people skip this step. Photos copyright free and courtesy of Wikimedia. Article © 2014, Jacqueline Soule. All rights reserved. I have received many requests to reprint my work. My policy is that you are free to use a very short excerpt which must give proper credit to the author, and must include a link back to the original post on our site. Please use the contact me if you have any questions.